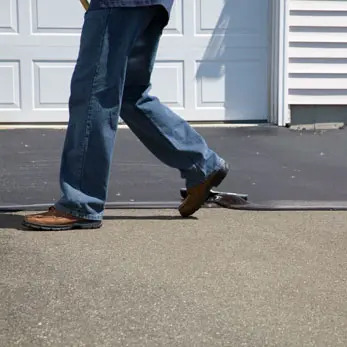 Has winter opened up holes or cracks in your driveway? Here are some spring solutions! weekend and is a great value! In just a weekend, you can add years to your driveway. Browse our top of the line sealing products, and find out where you can grab just the right amount for your project. 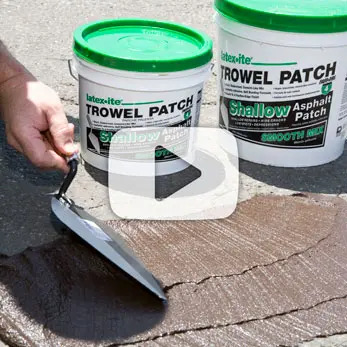 Our patch and repair products make it easy to repair cracks, rough spots, depressions or potholes! Want to get it right the first time? See how the pros use our products so you can become a pro yourself! Having trouble deciding which product you need? Just submit a photo of the problem with your smartphone and we will send you back our expert opinion! You never want to run out of sealer mid-project! Let us help you figure out just how much you need. Smooth or porous we have you covered. Save time before you begin your driveway project by taking a look at our FAQ section or you can even shoot us an email. Don’t hesitate – we are here to help you get great results! We can show you the closest place to buy our products.